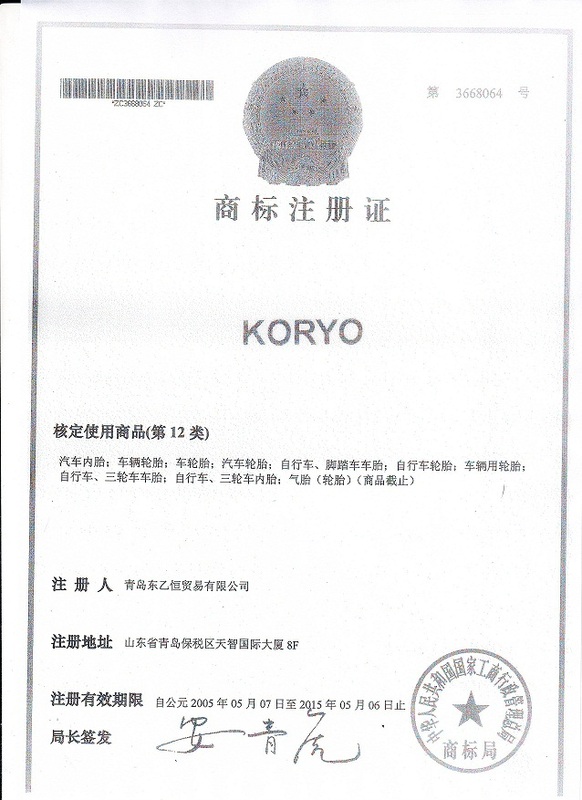 Company Overview - Koryo Tyres Industrial (Qingdao) Ltd.
9YRSKoryo Tyres Industrial (Qingdao) Ltd.
We are a leading manufacturer of radial and bias tyres in China. We produce various tyres in six categories with nearly one thousand sizes and patterns, including radial tyres and motorcycle tyres, tubes and wheels as well.Our products and services conform to ISO9001 standard. 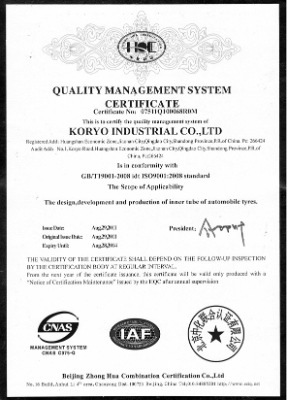 We have obtained American ECE, GCC, Nigerian SONCAP and Indonesian SNI certification. We are also a supplier of rare tyres which are made in China but hard to find.Our tyres are well sold to more than 100 countries and regions, such as Asia, the Middle East, Europe, North America, South America, Africa and Australia. We always supply our customers with high quality tyres, reasonable prices, prompt shipment and the best services. Your enquiries will be handled carefully and efficiently. 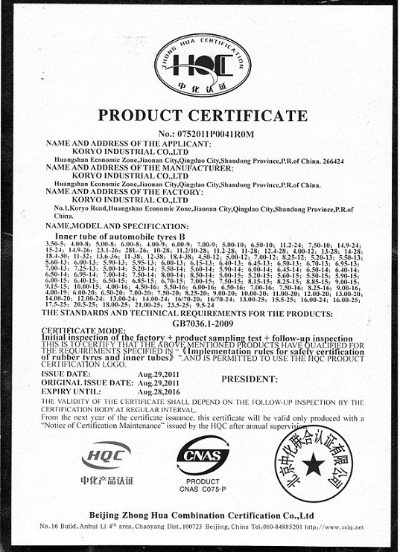 BEIJING ZHONGHUA COMBINATION CERTIFICATION CO.,LTD.